Sometimes it's hard to come up with the just the right phrase for your Christmas cards and Christmas letters. Should you say "Merry Christmas and Happy New Year"? Or stick with "Happy Holidays"? Or how about something a little more interesting than either of those? If you need some help coming up with Christmas card wording, here's a list of Christmas card greetings you can use for your cards or annual holiday letters. Never got stuck for a Christmas phrase again! 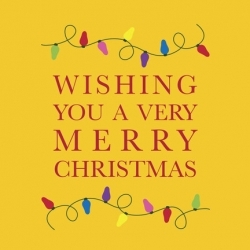 Here's a list of Christmas card wording you can use for your holiday greetings. Season's greetings with all good wishes for the new year. 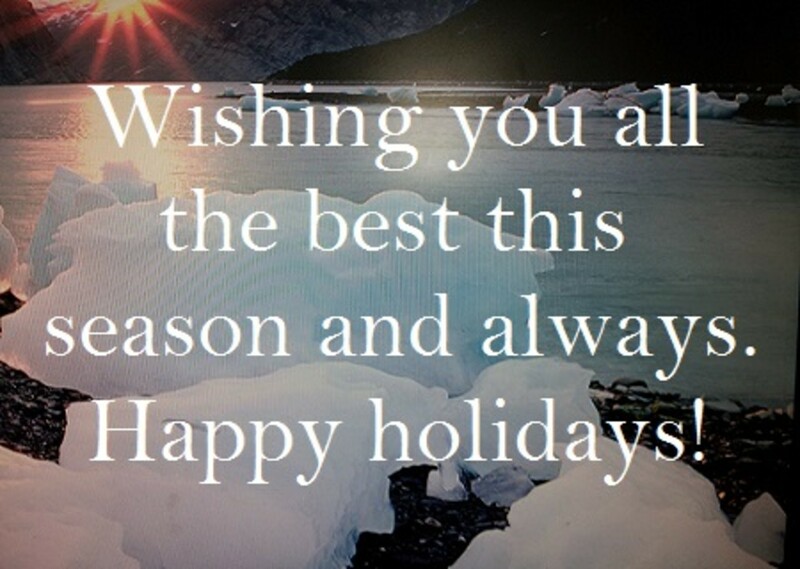 Wishing you the special gifts of this holiday season - peace, joy and lasting happiness. In December, Amazon offers free Christmas music downloads. Click an image to learn more. Buy one or many at Zazzle and customize them online. From Amazon: Karen Robert has spent the last several years tracking down the wonderful and wacky Christmas cards represented in this book—the best out of tens of thousands she has reviewed. Featuring everything from young couples in love, classic kids-'n'-dogs, and quirky workplace situations to every incarnation of Santa—fat, thin, young, old, canine—these cards will surprise you with their irrepressible creativity. Some are heartwarming, some are hilarious, some are simply strange—but every single one was actually sent out as a Christmas card. So whether you're one of the millions of people who love all things Christmas, looking for inspiration for your own holiday card, or just a desperate Scrooge on the hunt for the perfect stocking stuffer, pick up Merry Christmas from . . . for a holiday pick-me-up. 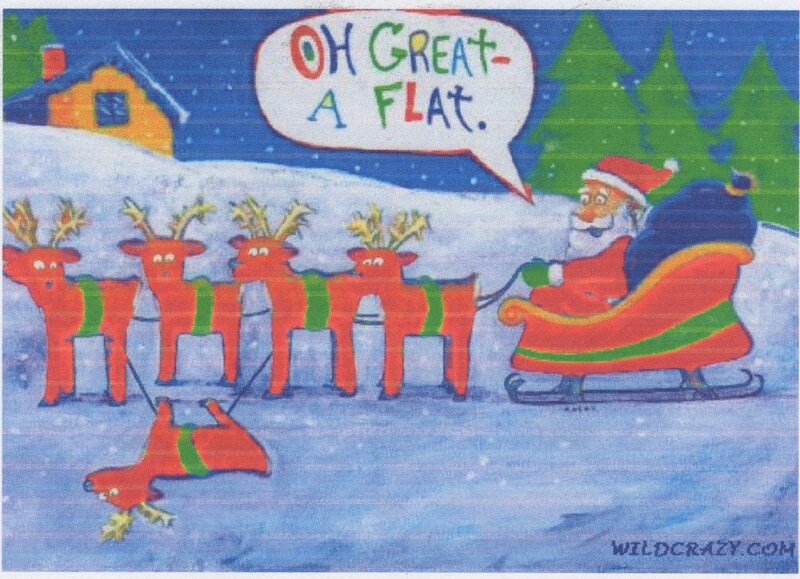 Do You Have A Favorite Christmas Card Greeting? - Please sign the guestbook and let us know you were here! I absolutely love that book (150 Xmas cards...)!!! Delightful collection of Christmas card greetings. I often opt for happy holidays. I like a more personalized greeting though. These are great ideas! Hi Lisa, I'm back again just to say I added a link to this awesome list of ideas at Homemade Christmas Cards with Fingerprint Snowman Families. Very very nice list of ideas for what to write in Christmas Cards. When you see it, you'll know it's the right phrase - that's how I am anyway. Great list.